»How Did Mammoths Go Extinct? Mammoths weren't just giant prehistoric mammals, they're some of the most widely recognizable extinct species in the world. The ancient ancestors of modern-day elephants inhabited Eurasia and North America during the 2nd half of the Pleistocene. The ancient giants reached up to an astounding 11.5" (3.5 m) tall and, luckily for scientists, many of their fossilized remains continue to be found in the basin of the Kolyma River in Siberia and in Alaska. But one question still seeks an answer - how did mammoths go extinct? Scientists still do not have a categorical answer to the question of what led to the dying off of these beautiful giants. According to one of the most popular theories about how mammoths went extinct, they did not become the victims of a collision with a giant asteroid, like the dinosaurs, but rather the victims of a rapidly changing climate that they ultimately could not adapt to. Climate change not only raised the temperature of their environment, it also led to changes in the kind of vegetation that developed. Gradually, mammoths became unable to obtain the needed amount of calcium from the new plants available, making their bones weak and incapable of supporting their immense weight. Some bold researchers even claim that mammoths fell victim to a flu epidemic that affected not only them but 130 other kinds of animal species about 11 000 years ago. 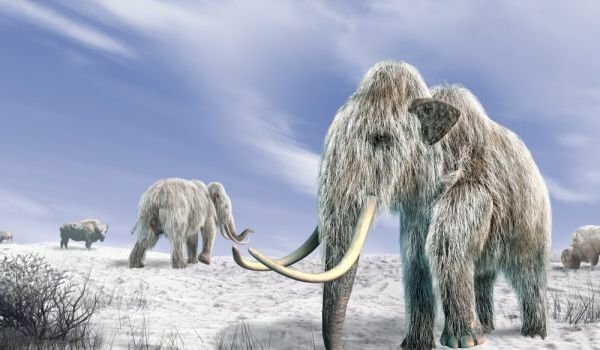 The mammoths that survived the flu and climate changes found shelter on the remote island of St. Paul, near the shores of Alaska. The limited range led not only to inbreeding but also to the depletion of the drinking water on the island. Gradually, the giants died off and nothing was capable of halting this process. The last members of the species died about 3000 years ago - lonely, on a bit of land amidst the ocean. What Does it Mean if a Bat Flies Into your Home?